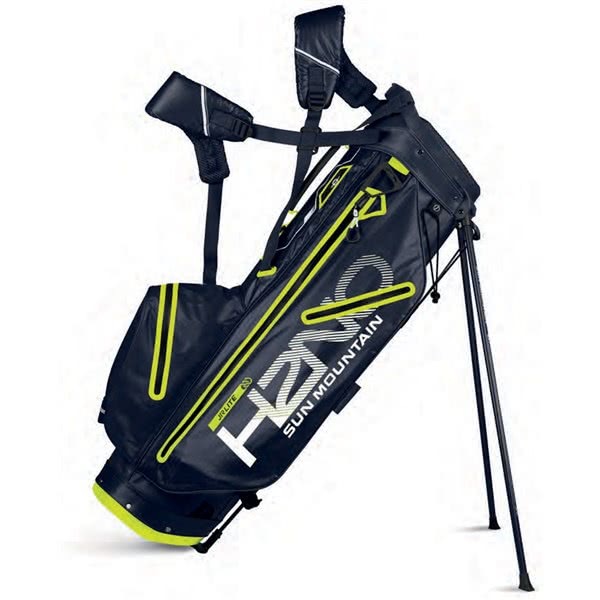 The Sun Mountain Junior H2NO Lite waterproof stand bag is the perfect way to avoid the contents of your golf bag getting wet. Sun Mountain have used a retractable ‘stubby legs’ design to keep the bag off the floor when it is wet and to keep the weight down. 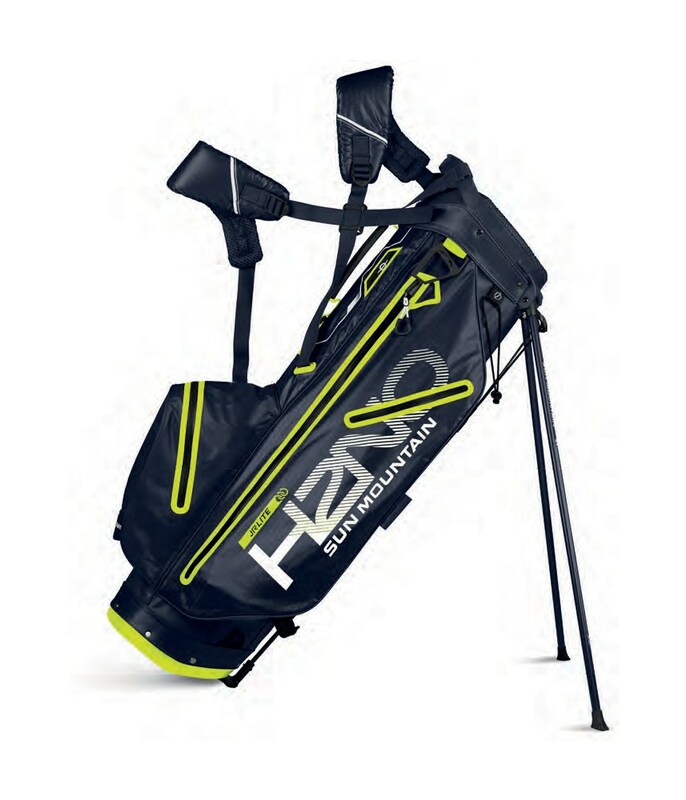 To provide protection from the elements Sun Mountain have used their excellent ‘H2NO’ waterproof fabric, to further protect your golf bag contents the zippers are all waterproof as well. 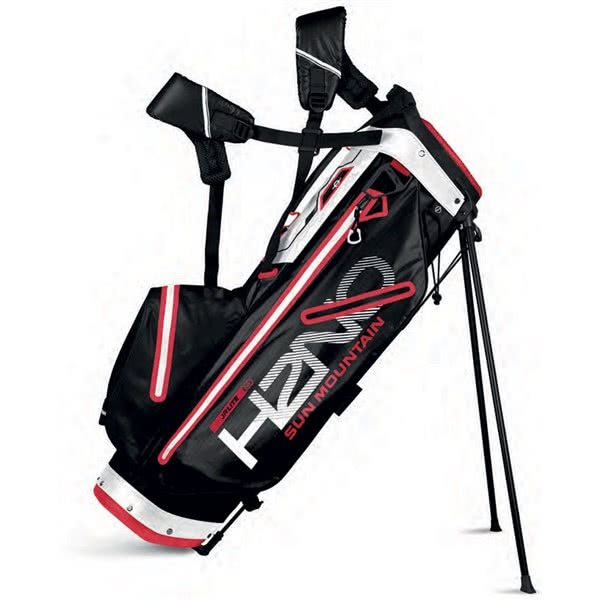 You get a to cuff that features a 3-way padded that will provide ample room for up to a full set of clubs, integrated into the top cuff design is a grab handle that makes lifting and lowering from your shoulder much easier. The pocket layout means that all the pockets are easily accessible on the move, on the junior H2NO you get a full-length apparel pocket and a half length to store extra layers and all your accessories. 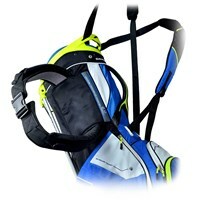 To improve carrying comfort and adjustable padded double strap has been used. Other useful features include a umbrella holder and a hip pad that will further enhance comfort. 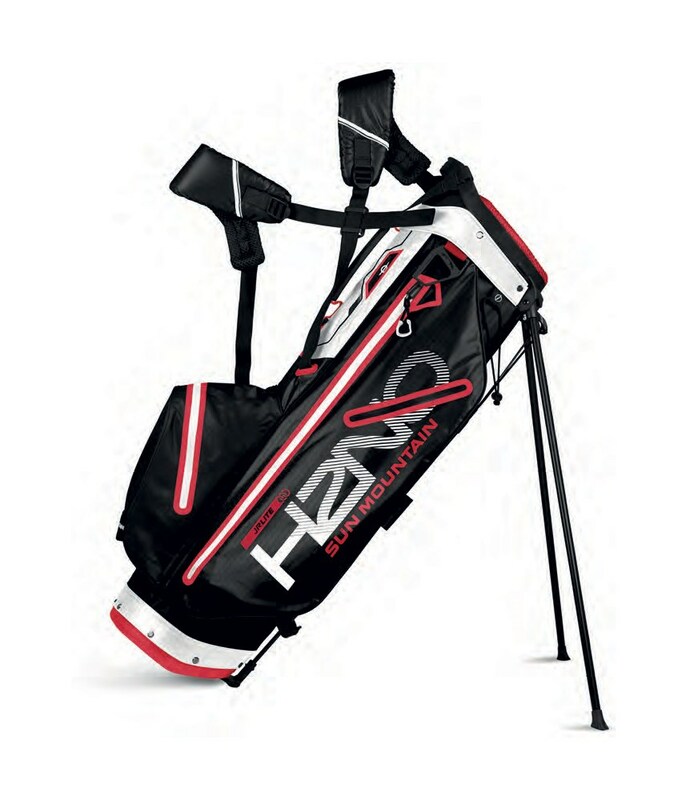 The height of the junior bag is approximately 2.5" shorter than a standard Sun Mountain so this model is ideal for both junior, female and shorter golfers!